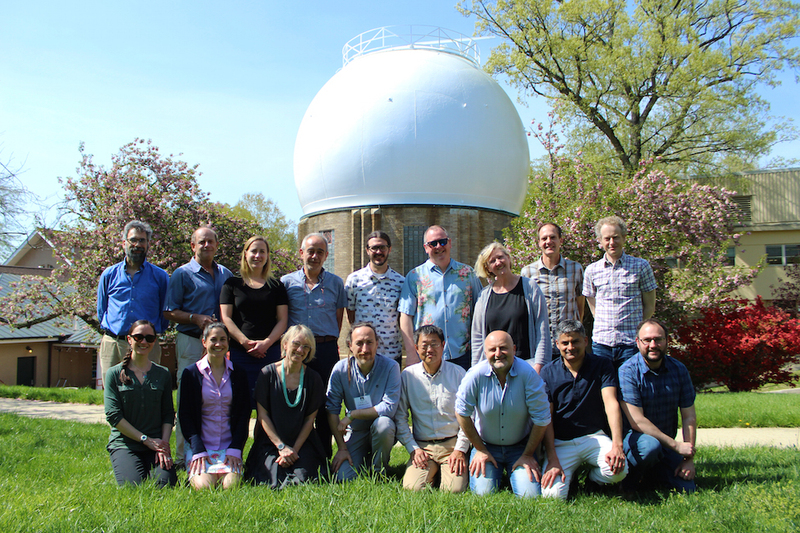 DCO Reservoirs and Fluxes Community participants, May 2, 2018. Back row from left: Marc Spiegelman, Patrick Allard, Cindy Werner, Giovanni Chiodini, Peter Kelly, Erik Hauri, Terry Plank, Tobias Fischer, Simon Carn. Front from left: Taryn Lopez, Liz Cottrell, Kerstin Lehnert, Carlo Cardelini, Hiroshi Shinohara, Alessandro Aiuppa, Santiago Arellano, Jonathan Tucker. Photo credit: Roberto Molar Candanosa. 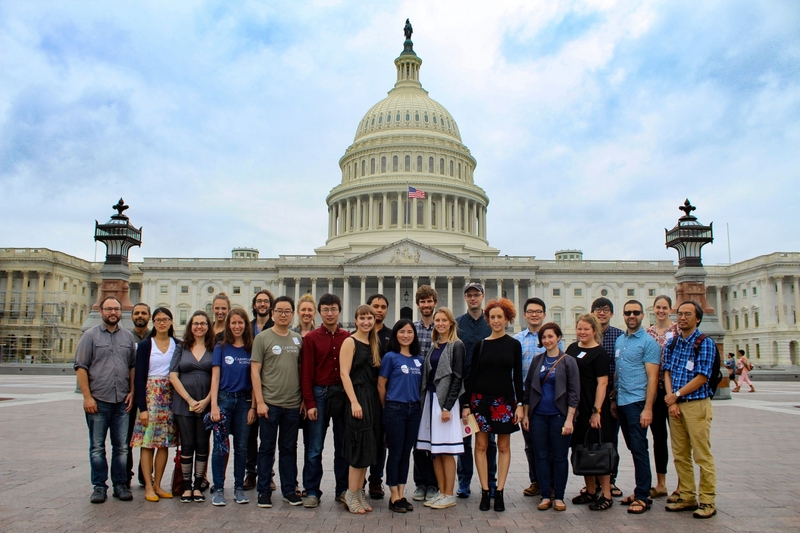 The highlight of postdoc appreciation week—celebrated Sept. 17-21, 2018—was a "field" trip where postdocs at the Department of Terrestrial Magnetism and the Geophysical Laboratory toured the U.S. Capitol. The celebrations also included a hard-fought table tennis tournament. Picture: Roberto Molar Candanosa, DTM. 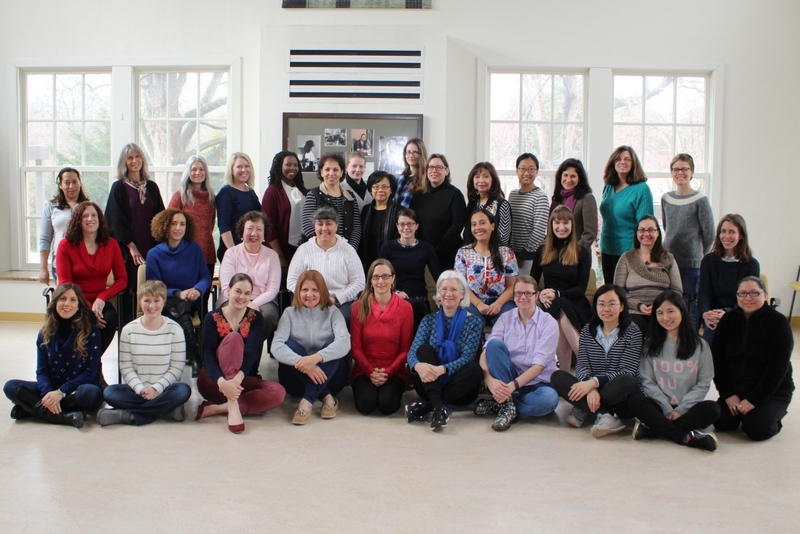 Episcopal High School students visited the Carnegie Broad Branch Road Campus on April 25, 2018. Photo by Roberto Molar Candanosa, DTM. An electron microscope image of a micron-sized supernova silicon carbide, SiC, stardust grain (lower right) extracted from a primitive meteorite. Such grains originated more than 4.6 billion years ago in the ashes of Type II supernovae, typified here by a Hubble Space Telescope image of the Crab Nebula, the remnant of a supernova explosion in 1054. Laboratory analysis of such tiny dust grains provides unique information on these massive stellar explosions. (1 μm is one millionth of a meter.) Credits: NASA and Larry Nittler. Read more.